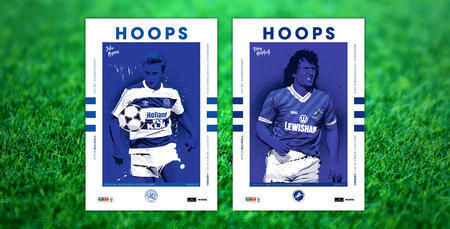 Hoops: Eze poster included in Posh programme! HOT on the heels of Saturday’s opening home fixture of the season against Sheffield United, Rangers are back at Loftus Road tonight (Tuesday) to kick off our 2018/19 Carabao Cup campaign. 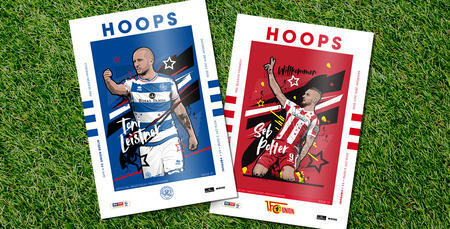 This evening’s edition of Hoops – the official matchday programme of QPR – is a 36-page effort that includes a giant pull-out poster. One side features new Rangers number 10 Ebere Eze, while the other is full of fun and games for Junior Hoops. Our new two-sided front cover – featuring players who have starred for either Rangers or our visitors on the day – tonight features Gino Padula (QPR) and George Boyd (Peterborough United). This evening’s programme also includes a feature interview with former Posh striker Conor Washington. Elsewhere, boss Steve McClaren, Clive Whittingham (Loft for Words), Tony Incenzo (talkSPORT) and Aidan Magee (Sky Sports News) have all penned their latest columns, while visitors Peterborough are profiled in detail, too. And talkSPORT’s Adrian Durham – also a Posh fanatic – is the subject of our ‘Visiting View’. 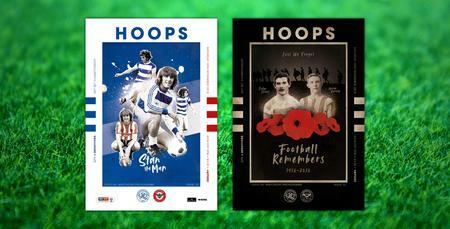 For all that and more, pick up a copy of Hoops tonight (£3) – available to purchase in and around Loftus Road on matchdays. 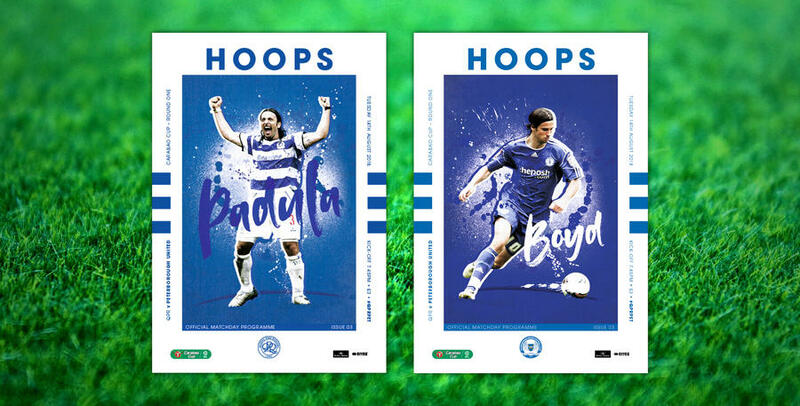 Hoops: New-season programme taster out Saturday!